The Named Person scheme has suffered yet another major setback. In 2017 MSPs refused to back the SNP’s latest proposals until they were given a detailed code of practice on how it would work. Now an expert panel set up by education secretary John Swinney to draft the code has effectively admitted defeat after trying for nearly a year. They’ve written to the minister telling him the idea is too “challenging” and “complicated”. That could sink Swinney’s bill to rewrite the Named Person powers struck down by the Supreme Court. Holyrood’s education committee insisted on having an authoritative code before they would even deliberate on the bill. 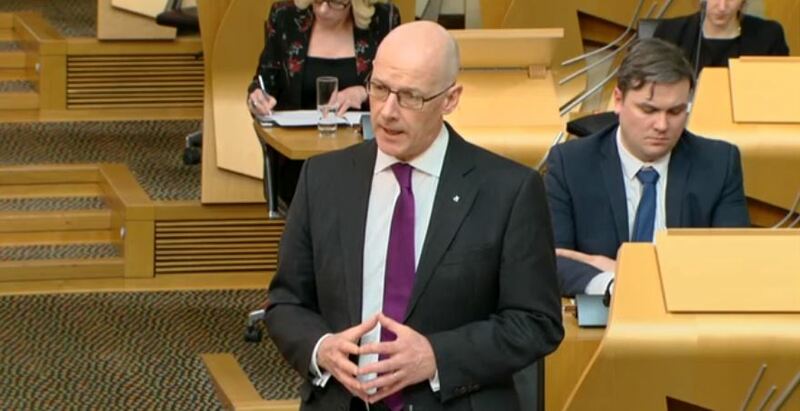 In his letter to Mr Swinney, panel chief Prof. Ian Welsh said: “For the proposed Code to be effective in providing the safeguards looked for in the 2016 Supreme Court ruling, these safeguards would need to be placed directly into the draft Code. “The Panel have found it challenging to achieve this without making the draft Code detailed and complicated. This runs contrary to a desire for the current draft Code to be simple, concise and accessible. This heaps embarrassment upon embarrassment for the Deputy First Minister. Rather than accepting defeat in the Supreme Court and leaving the Named Person to operate under the same information sharing laws as everyone else, he insisted on trying to save face by bringing in a new bill. It was always a bad idea to layer new information laws on top of perfectly good existing laws. Thankfully MSPs blocked the new bill, demanding an authoritative code of practice before they would even deliberate on it. The independent panel announced in November 2017 was meant to come up with that code. But after a year of trying they’ve effectively admitted defeat. They’re telling Swinney there should be no new code, which means no new information sharing law. This would leave us with a Named Person Lite, subject to the same laws and guidance on information sharing as everybody else.